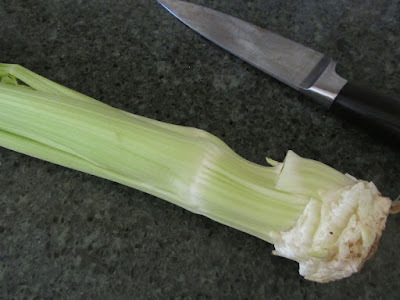 creative savv: Have you ever bought a bunch of celery and find that the bottom couple of inches is more "core" than stem? Have you ever bought a bunch of celery and find that the bottom couple of inches is more "core" than stem? 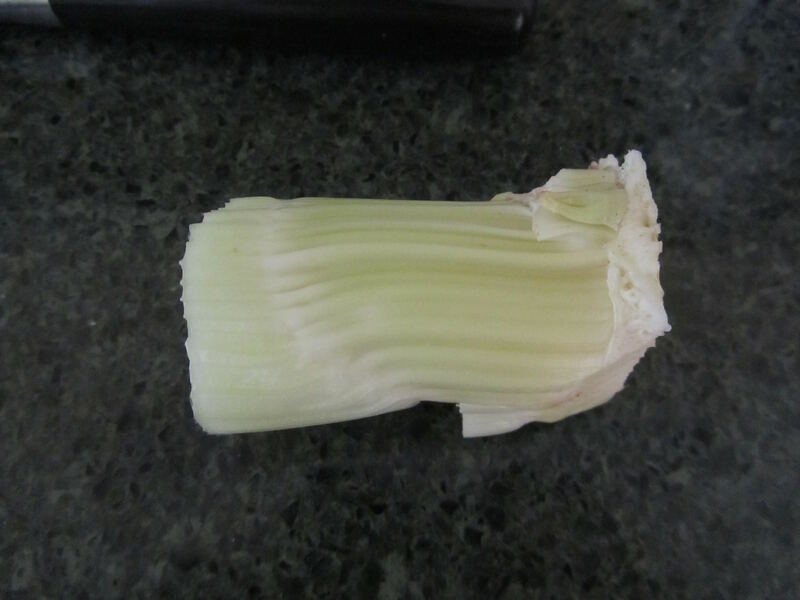 This happened every so often, when I buy a bundle of celery. The first few stalks peel off nicely. Then the stalks grow shorter and shorter, as this core in the bottom of the bundle develops. 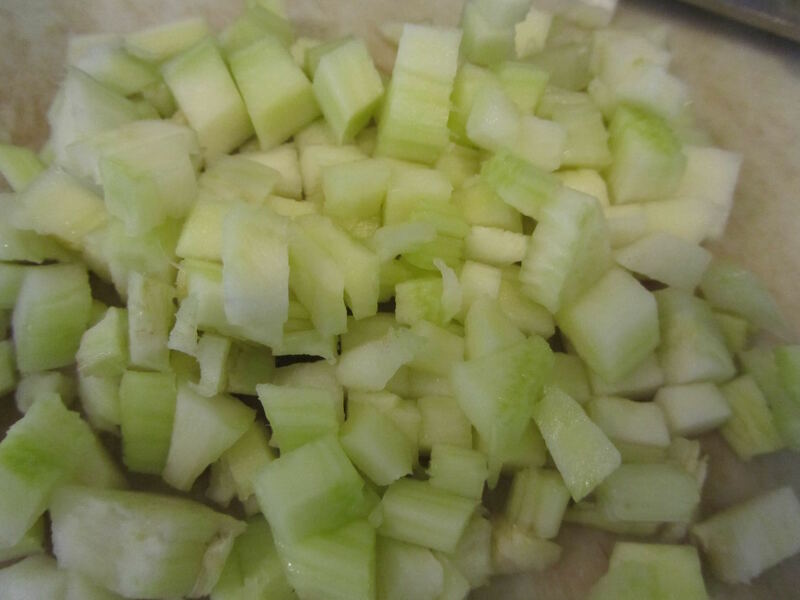 That core may not be useful for celery sticks, but it can be used in soups and stews. I simply chop off the core, cut off the very bottom, wash and chop fine. It gives flavor and texture to my soups and stews. I have never seen that big of a core before! I always have celery lying around and we use every bit of it except the absolute bottom of the core. We are going through a very lean time that came with an unexpected twist. We got a love note from the IRS. Our tax preparer made a mistake in the filing of 2014 and since I'm not trained in tax preparation I didn't catch it. Now we owe some big bucks AND we have hospital bills AND summer taxes AND car insurance AND home insurance all this summer. Not at all sure how this is going to play out but groceries and any kind of spending is out of the question. I think we get things like milk but probably nothing else. We have oats for oatmeal and some flour (mostly whole wheat) for making bread but nothing else. I have stuff in the freezer still so we'll be working through that. I could lose a few pounds and so can all three of my kids so this will be very interesting! Hubby and I took a long walk yesterday and he doesn't have the pain he used to have and can actually walk with me again. What a wonderful answer to prayer! God is good! I am very glad for you and your husband that his pain is much relieved, now. But I am sorry to hear of your financial troubles right now. That must be very upsetting. At least with your husband's recovery doing well, that is one thing behind you, for the most part. God will provide. I'm sure you've already contacted the hospital business office about arranging some longer-term payment schedule. Some hospitals are quite good about doing this. Will the IRS give you an extended time to make the back payment? One good thing, this is all happening at the beginning of warmer and lighter weather. You can really minimize your utility bills through the summer. Leave lights off, air dry laundry, take shorter showers, etc. When my husband's income was cut back in 2013, I was surprised how much I could reduce our bills. I just had to share . I have been on the look for new nightgowns the last 2 I got on clearance for $1 apiece at Walmart after Valentine's sale. Tee shirt type in pink and red. That was 5 years ago. I look in the store but haven't had luck well last week I checked Kmart and found a fleece type nightie for $3.99 . It is wonderfully warm . Two days later I had to fill press prescriptions at Kmart again and discovered that I had a $10 coupon for anything in the store. I rushed over to the nightie section again and found one more night down in the fleece for 3.99 but in blue this time. With the rest of the money I bought two new pot holders for my kitchen the ones I had were beyond repair and smell funny. I was so tickled with my purchases I could hardly wait for my hubby to get home. Now I am set for winter and can if needed still wear my old tees for summer. They are starting to really look warn but still work .I will continue looking . I'm so happy for you! What a fun "shopping" trip! Free is my kind of price. Thanks for the tip, Lili. I think I might have sliced off the core. But I do use the tops in stews, or just add in salads. I hadn't thought that even the fabrics are not of the quality we used to have. that's so disappointing, isn't it?! It sounds like you remade that top, well, though. Good job! I like the celery tops in soups and stews, too. I think they add more flavor than the stems. It seems so funny to me now, but growing up, my mother threw out the tops. I just couldn't imagine doing that now.! In particular, Sears and Kmart clothing are not the best quality....their cotton clothing, men and women, always shrinks several sizes. That tells a lot about the quality of cotton used in the fabric... I'm thinking perhaps their source uses recycled cotton fibers to keep costs down. However, no problem so far with Target's Mossimo or Merino brands, and notice the clothing lasts without shrinking. Maybe strictly Sears/Kmart cost cutting, certainly I will never pay full retail for their clothing. You know, I like to eat the core of the celery, so I don't have much problem getting rid of it. Well then, you have no problem getting rid of those cores! Snack away! I've also had that happen from time to time with celery. It's such an oddity. 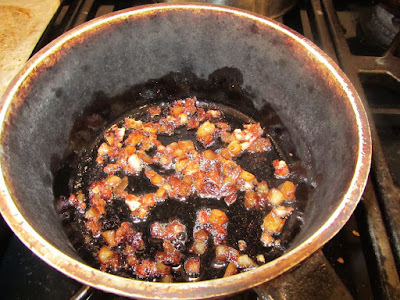 Do you also dry your celery leaves to use in soups and other dishes later? I learned that tip from an elderly woman on the old Usenet Frugal group. The only "snack" she gave her (now grown) children was popcorn since that was inexpensive. She used to cook her meals in a solar cooker or if she was traveling she would cook them in a "blanket" in her car all day long while they drove. She was an interesting lady. I usually use up the leaves during the week that I have the celery. I just keep them in a lidded container in the fridge until I'm making a soup or casserole. They add more flavor, I think, than the stems do. Back in the mid to late 90s there was a frugal living newsgroup. This was before blogs and online photos, just text. We didn't have a computer at home, so my husband would read a bit while on lunch break at work, then print out helpful things for me. He would write in and ask questions for me, as well as offer my advice online to other folks. 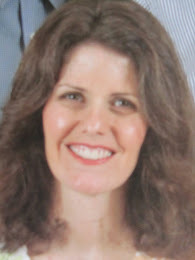 A woman who had worked for Amy D wrote in from time to time. I do think the people who participated were even more frugal than I find these days, online. I wonder if this was the same group as you mention? I think it was misc.frugal-living, if I remember correctly.